Quality 1 Auto Service, located in Temecula, provides complete auto repair on all Mazda vehicles for their clients living and working in Temecula, Murrieta and surrounding cities. With the owner being a master tech and employing ASE certified master techs, Mazda repairs are performed quickly and efficiently. Of course, our Mazda clients may have other vehicles such as Honda/Acura, Nissan/Infiniti, Toyota/Lexus or other Asian, as well as Domestic or European vehicles and we are well equipped to take care of those vehicles needing auto repairs. Having ASE Master Certified Technicians at Quality 1 Auto Service will give you the confidence in getting your vehicle diagnosed and repaired correctly, the first time. Air conditioning, transmission and electrical repairs on Mazdas today can be complex. Our experience and knowledge with our state of the art diagnostic equipment allow us to perform quick and efficient auto repairs. With all the new automotive systems that Mazda have produced, our up-to-date service repair information will speed up any and all auto repairs. Our clients from Temecula, Murrieta and surrounding cities count on us to get their autos back quickly. 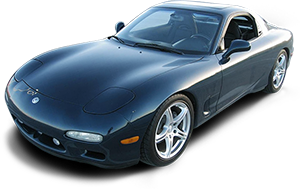 The benefits of getting your Mazda auto repaired at Quality 1 Auto Service, in Temecula, are many. Examples include our 3 year/36,000 mile warranty (triple that of any other independent or dealership), $10 a day loaner cars, shuttle service to your home or place of work and free car washes. Our customers have come to rely on fast and personal service when needing auto service or repair. Please feel free to give us a call with any of your Mazda auto repair questions or any automotive questions you may have. We look forward to hearing from you. Please give us a call or stop by with your Mazda auto repair questions or any other automotive questions you may have. We look forward to hearing from you soon. Take a look at what our clients have said about us, right here on out Customer Testimonial Page.